**Money from the sale of this dress goes to cancer research wales charity**. 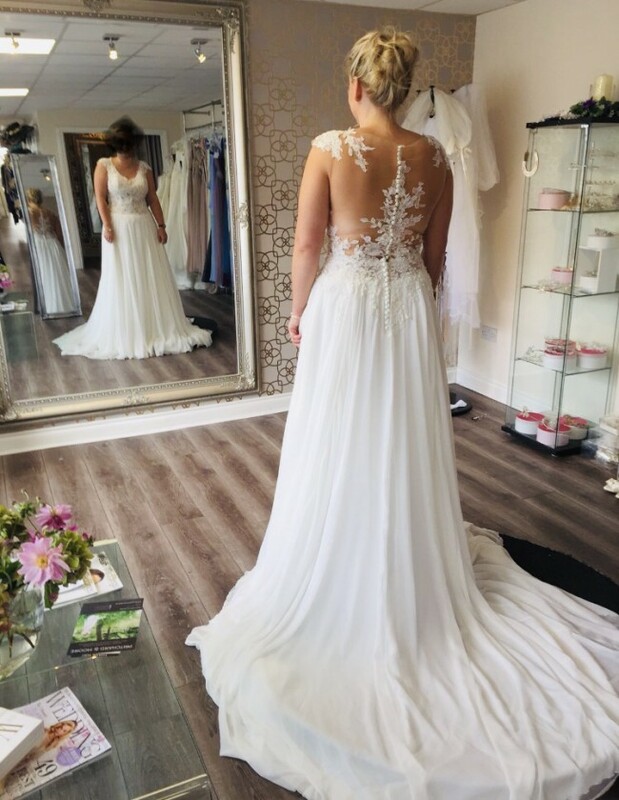 This dress was a sample dress and is absolutely beautiful on it has never been adjusted so is ready to be Taylor fitted to suit you, I am 5ft 3’ in photos so there is plenty of length on the dress or room for alteration, it has a lovely train. I bought an under slip to go with it which I will sell with dress but can be worn as optional. Only selling because I found another dress that suited me a little more. Once you send a message, Laraine can invite you to purchase the dress.